SPECULATION is growing that National Express is seeking to replace its franchise to operate intercity trains on the East Coast Main Line with a management contract to run the services for the Department for Transport. Concern has been growing for some time that, because of the economic downturn, National Express will be unable to make the large premium payments promised to the government when it won the East Coast franchise after GNER pulled out following its parent company Sea Containers’ financial difficulties. The NXEC franchise deal means it has to pay the Government £1.4 billion over the life of the franchise, with the £87 million due this year and £140 million in 2010. But they have not commented on the possibility of ending, or suspending, the franchise and letting its operation as a temporary management contract. There are precedents for this, including the previous arrangement with Virgin Trains after the collapse of Railtrack put paid to the original deal to upgrade the West Coast Main Line. Then the Strategic Rail Authority (now disbanded) under the chairmanship of Richard Bowker — who is now chief executive of National Express Group — suspended the franchises for both West Coast and CrossCountry services, but Virgin continued to operate both franchises under management contracts. Subsequently, a revised franchise for West Coast trains was negotiated with Virgin Rail Group, while the CrossCountry franchise was re-advertised and let to Arriva Trains. 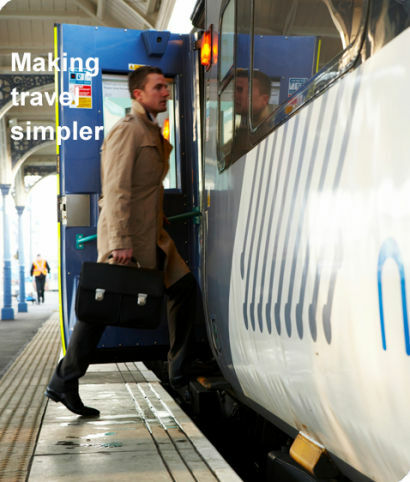 On 3 May The Sunday Times reported that NX had struck a deal with the DfT that would “pave the way for a £400m rights issue and boardroom shake-up at the bus and rail group” which has its annual meeting this week.